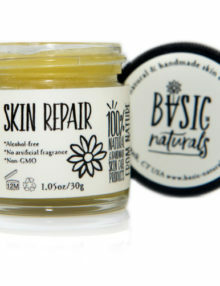 Tired of cracked hands and dry cuticles? This product does it all. 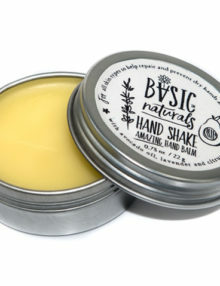 A luxurious yet simple hand balm to keep your hands soft and moist all day. 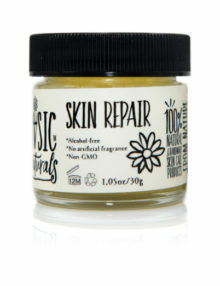 Developed to prevent and repair dry skin and cracked cuticles. The metal tin container fits comfortably in your pocket to carry wherever you go. Apply after every hand washing. Avocado oil is one of the richest sources of beneficial monounsaturated fatty acids, anti-oxidants and vitamin E.
Hand Shake balm helps the skin maintain its softness and health all day long. 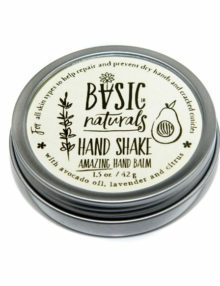 It is considered one of the best hand moisturizers for dry hands on the market today because of its smooth consistency which will keep your hands protected for a long time.